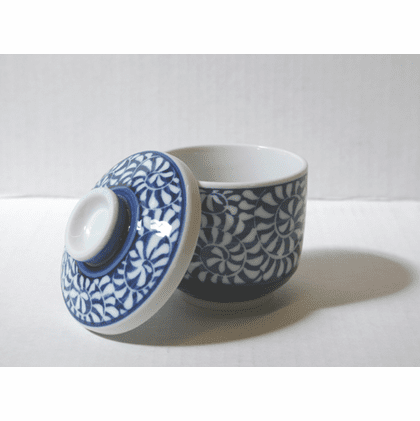 This is an arabesque pattern ceramic chawan-mushi custard cup. It is 3-1/8 inches in diameter and 2-3/4 inches tall and holds about 6 ounces. Above left picture shows chawan-mushi custard.